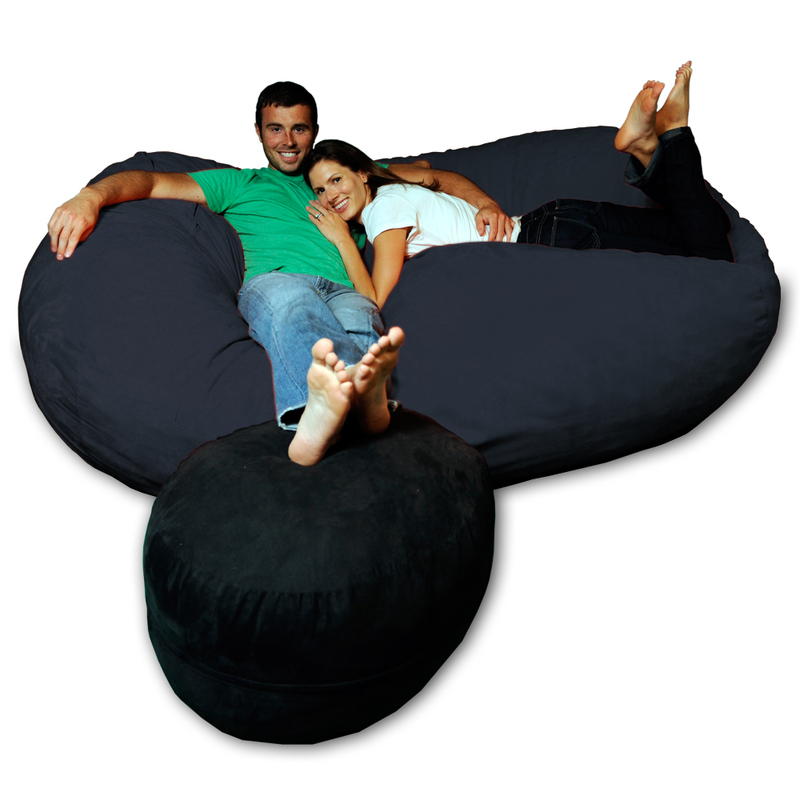 Our 7.5 foot Lounger is the ultimate lounger for someone looking for the comfort of a Theater Sack but also the versatility of a couch or futon. Due to its large size, the 7.5 foot lounger can easily fit 3-4 people (like a couch) and can also be used as a awesome bed (like a futon). The 7.5 ft lounger is the largest lounger offered on the market and will become your new favorite place to kick back and relax. We call them bean bag furniture, but you’ll find no beans or Styrofoam pellets here. Just the softest, furniture quality shredded foam for a totally unique lounging experience.